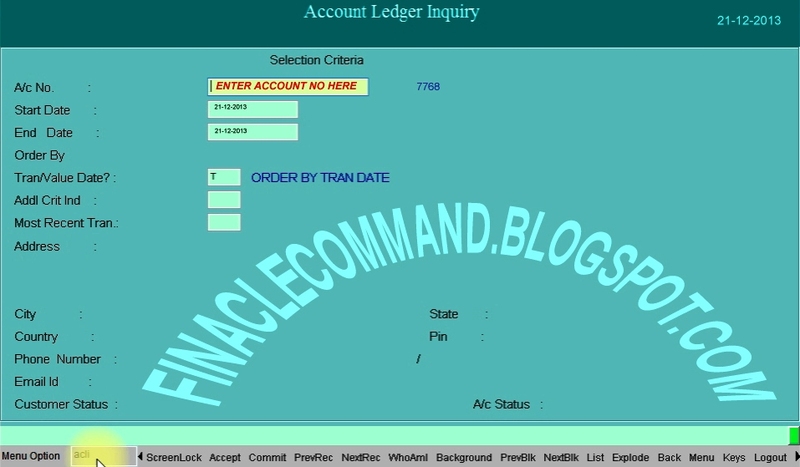 ACCOUNT LEDGER INQUIRY - FINACLE COMMANDS AND TUTORIALS. 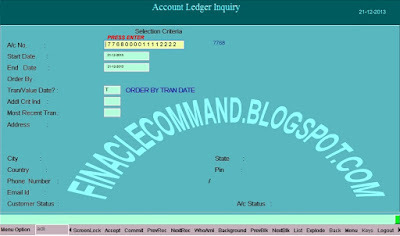 Finacle command ACLI which is abbreviated as ACCOUNT LEDGER INQUIRY. 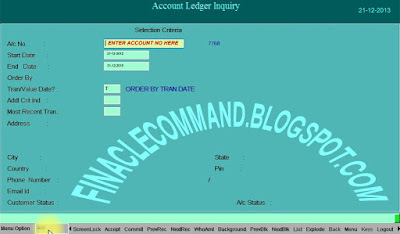 It is very useful command in finacle and used for account ledger inquiry. 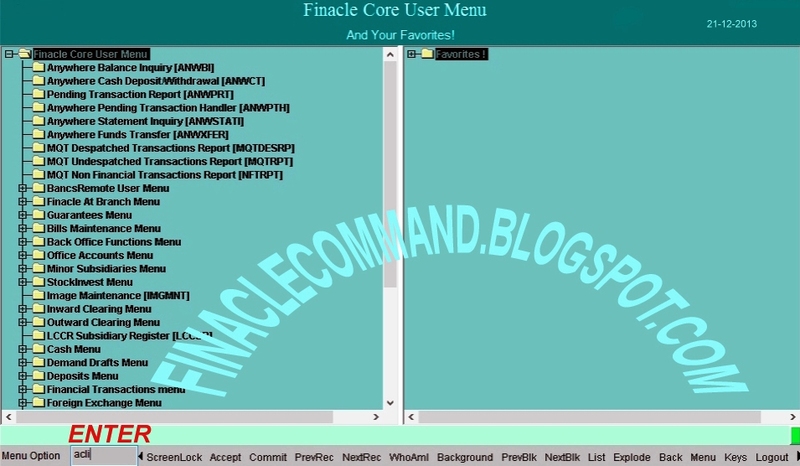 So let,s see how this command works in Finacle. 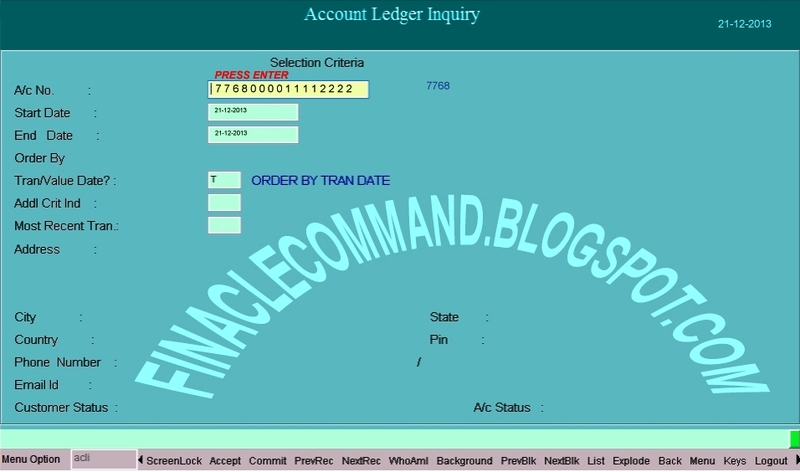 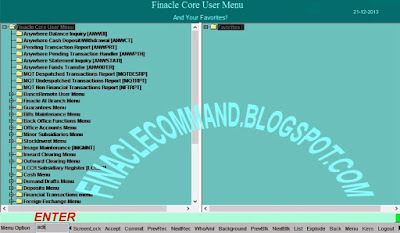 1.Type ACLI in finacle,s MENU OPTION BLOCK and press enter. 2.After pressing enter,It displays a new screen. 3.Now input the Account No in A/c No.field as shown in figure below. as shown in figure below. 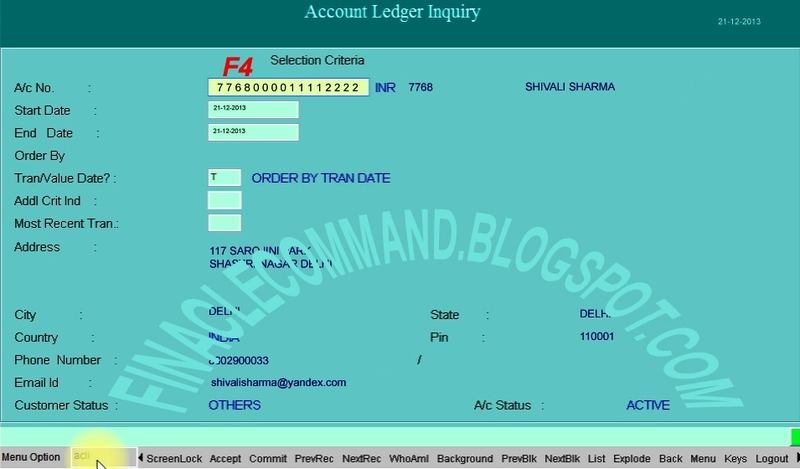 6.After pressing F4 it displays a new screen i.e. 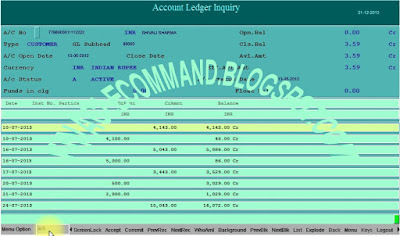 Accounts ledger screen.